Widow of the Lee Harvey Oswald, the man who was convicted for shooting President Kennedy. 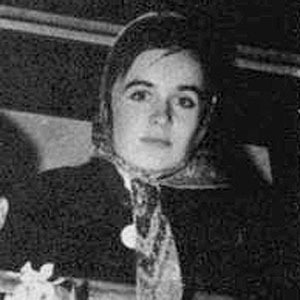 She met Lee Harvey Oswald in the city of Minsk, where he was hiding out after defecting to the Soviet Union. She was under Secret Service protection for the duration of her testimony while the commission investigated her husband's crime. After Lee Harvey's death, she re-married and lived out the rest of her life in Dallas, Texas. Helena Bonham Carter portrayed her in the movie: Fatal Deception: Mrs. Lee Harvey Oswald.